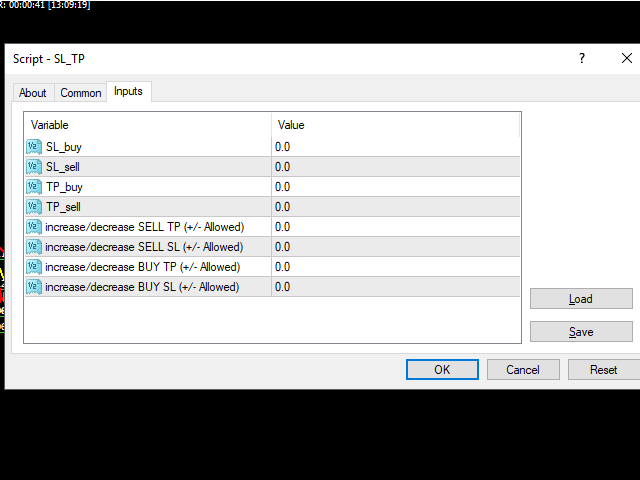 using this script you can set stop-losses and/or take-profits of all opened buy/sell positions at the same point all at once. also you can change all Stop-losses and take-profits by a specific pips. for example you can place all stop-losses 10 pips higher than where they are, but not at the same point. for example , this script is useful when you are trading on martingale strategy and you want to put all take-profits on the same point and you want to change them all for a specific amount of pips .